It is likely that you are on a short vacation in the island and therefore time is your only enemy. And you would therefore like to target the best stores and shopping centers quickly rather than systematically scanning all the great stores that Langkawi has to offer. So here is our favorite shopping centers and stores in the island which you can prioritize in your shopping agenda. This is a large shopping mall with 60 stores, a supermarket, 12 restaurants, a modern budget hotel, cineplex, multi-level car park and more. It's located just outside the town limits and a taxi from the town center will take only 15 minutes to reach. The shopping mall is an excellent choice if you are looking to buy duty free liquor & wine, tobacco, chocolates or even perfumes. There are also stores selling branded luggage at attractive prices. Inside the mall, Teow Soon Huat (TSH) is the main tenant and comprises of the large Supermarket with departmental stores. It started as a small grocery shop in 1962 that was run jointly by two brothers. 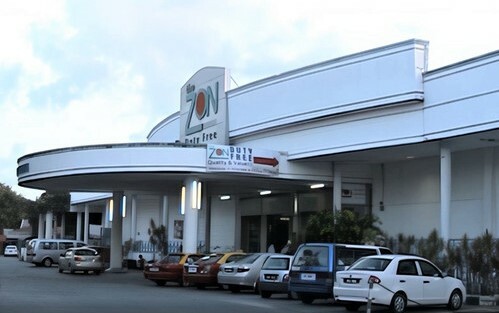 It has now been converted into a large Super Market & three level duty free departmental stores in 2005 which is now part of Langkawi Parade Mall, and still run by the two brothers. You will get finest of wines at the Mall from various countries including France, Australia & South Africa. You will also get Champagne of some of the great international brands like Taittinger, Bollinger, Charles Heidseck, Lansson, Martini Asti, Laurent Perrier etc. In spirits, there is wide range of Scotch whiskeys, brandy & cognacs, liqueur and more. Teow Soon Huat is the Langkawi distributor of Carlsberg beer. There are stores offering hard rolled Cuban cigars and cigarettes from all renowned brands at cheap prices. So this mall is a haven for smokers and drinkers. Chocolates is of course another reason why you should be visiting the mall. They are sold at attractive duty free prices. There is a wide range of chocolates in offer. The brands include Cadbury, Toblerone, Lindt, Ferrero Rocher, Cote d Or, Anthon Berg, After 8, Droste, Maestro, Daim, Rafaello, Hershey, Kinder, Milka, Goldkenn, Milky Way, Ritter Sports and more. 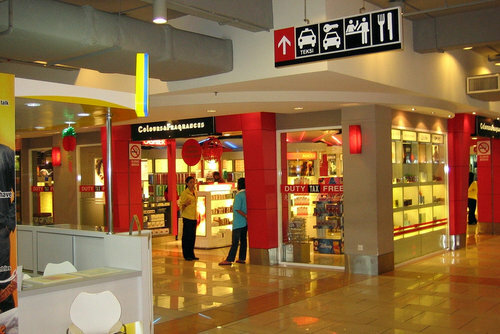 There are also duty free shops selling men's and women's fashion items including shoes. The Kids stores sell items like clothes, accessories and toys for the kids. You will also get several stores selling a range of branded luggage (suitcases and large bags) etc at duty free prices. The brands in perfumes include Chanel, Issey Miyake, Dior, Armani, Hugo Boss, Gucci, Clinique, Estee Lauder, Lancome, Maybelline, L'Oreal, Giorgio and several others. There are herbal and natural perfumes as well. If you are visiting the Oriental Village for a Cable Car ride, then combine that with a great shopping experience to make the most out of your visit. The village is an open air themed shopping complex with many retail stores and stalls selling all kinds of items including souvenirs, gifts, apparel, sunglasses, trinkets, art work and lot more. There is also a duty free shop here selling alcohol, cigarettes and perfumes at attractive prices. This is more of an experience than anything else. You won't go there to buy sophisticated dressing materials or chocolates. This is a country bazaar or local village market that sets up every evening at different places in the island. This market is most popular for wide varieties of dirt cheap & piping hot Malay food prepared and served by the vendors from their temporary stalls. It's a great place to meet locals and experience the local life. There are stalls that also sell many different small items including gift & souvenirs, trinkets, clothes, fake watches etc, but they are all cheap & low quality meant mainly for locals and tourists on low budget. You ask any local housewife where they go for cookware and household items, Idaman Suri is probably going to be the only name you will hear. The name in Malay stands for 'Housewives' Desires' which this shopping center is able to proudly fulfill since many years. 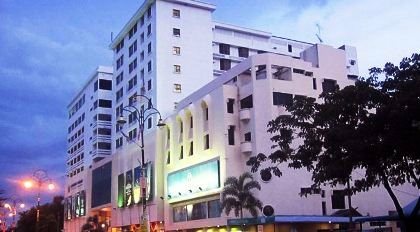 This large yellowish building is located a few minutes drive away from Kuah Town Center. Some of the items that are real cheap and great here includes kitchenware including pots & pans, cups & dishes with unique novel designs, exquisitely designed ceramic tea pots, wide range of chocolates, home appliances, furniture etc. This two storey modern shopping complex is locatetd next to the Kuah Jetty. 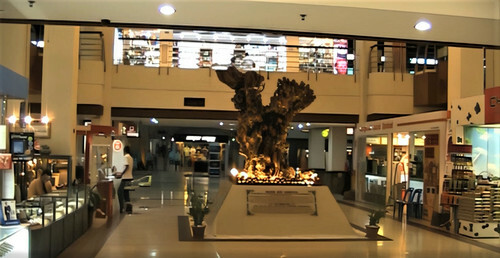 Although not exactly cheap, the shopping center has a number of stores offering all kinds of items including jewelry, watches, chocolates, souvenir items, sun glasses & spectacles, shoes, small electronic products liquor, batik, handicraft items, men's & women's apparels, crystals & glassware, perfumes, confectioneries etc. There is also a restaurant and enough car park. It's a convenient shopping center for those who are leaving the island by ferry and like to do some last minute duty free shopping. Open Hours: Mon-Thu: 9am–5:30pm; Fri: 9am-6pm; Sat: 9am-1pm. Although two separate large stores, they are located next to each other in Pantai Cenang where at the Underwater World premises. These two stores offer nice duty free shopping opportunities to tourists in both Pantai Cenang and Pantai Tengah. The Zon is particularly great for cheap Alcohol, tobacco etc. You can also get chocolates, perfumes, cosmetic and select electronic items here at duty free prices. Coco Valley has earned its name for chcolates at great prices. You will get sprits, wine & cigarettes here as well.